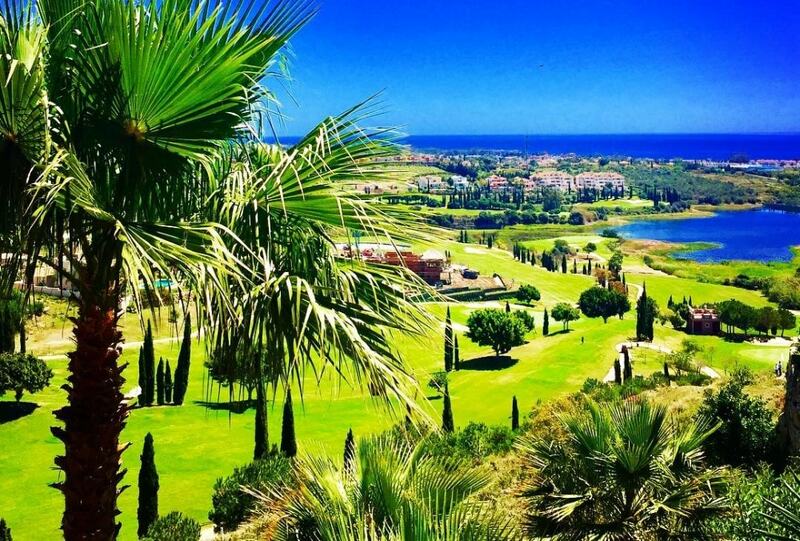 Los Flamingos Golf property is known as one of the most exciting developments on the Costa del Sol. It attracts more and more second home buyers every year. The average price of an apartment in this area is about Average price per sqm. in Los Flamingos Golf €2,645 0% properties#: 54 last change on: 23 Apr 2019 €2,645 per square meter. However, the stunning sea views and golf course views add an extra premium on the average apartment price here. On the other hand, the price for a house or villa listed on Los Flamingos Golf property market is much higher. Similarly, as in the first case, the average price of Average price per sqm. in Los Flamingos Golf €4,773 -1% properties#: 50 last change on: 23 Apr 2019 €4,773 per square meter rises for the properties with sea or golf course views. For investment, current opportunities have an average price of Average price per sqm. in Los Flamingos Golf €2,806 0% properties#: 16 last change on: 23 Apr 2019 €2,806 per square meter. The most renowned real estate agencies on Los Flamingos Golf property market are Gilmar with fifty listings, Michael Moon and Kristina Szekely (Sotheby’s) with more than forty listings in the area. 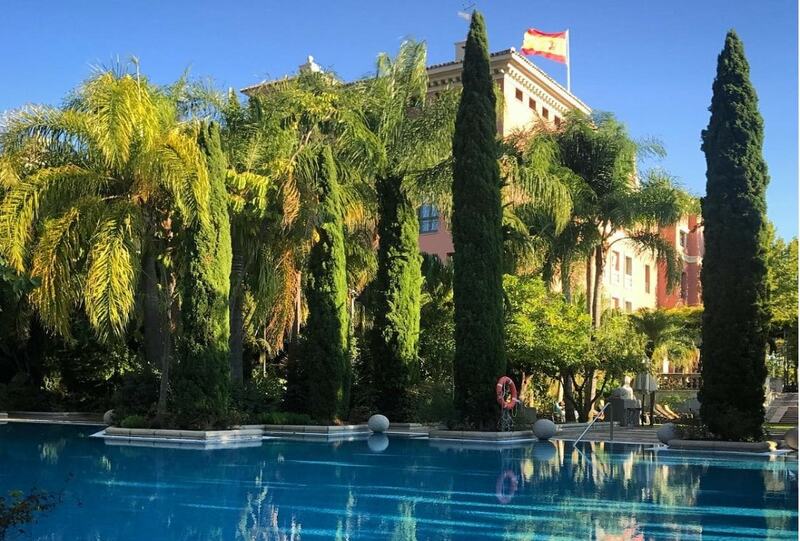 It is set in the heart of the golden triangle of Estepona, Benahavis and Marbella and is only about one hour of driving from the airports in Malaga and Gibraltar. Los Flamingos Golf has a perfect location. It allows you to visit the historic Old Town of Marbella and have a dinner in the world’s famous Marina Puerto Banus at the same day. In winter, you can visit Gibraltar’s shopping centres or spend an afternoon at the ski resort in the Sierra Nevada. This mountain range is reachable within a two hour drive. Many celebrities such as Melanie Griffith, Eva Longoria, Antonio Banderas and Michelle Obama have been attracted by this area. Extraordinary Los Flamingos Golf apartments for sale offer the very best of the Costa del Sol. Beautiful mountains alter gorgeous sea and golf views. Sunny and warm weather and proximity to all the amenities prove that this prestigious urbanization has everything you could ask for. Supermarkets, banks, a pharmacy and a gas station are conveniently available in the area. As it wasn’t enough, this hillside location provides much more. Golf lovers will appreciate three eighteen-hole golf courses. All the courses are overlooking the sea. Additionally, one nine-hole course designed by Antonio Garcia Garrido is set within the area. Many other courses such as El Paraiso, Guadalmina, or Atalaya are just about few minutes of driving. Those seeking for delightful relaxation and professional treatment will find themselves at one of Europe’s biggest Spas situated within the Los Flamingos Golf and Country Club area. Here you can enjoy the exceptional facilities. You can treat yourself to numerous treatment, including yoga and meditation rooms. Or, you can simply dip into the mineral thermal baths and circuits. The professional doctors, specialists, therapists and trainers will take care of you. You can choose from many beauty and rejuvenation procedures. The establishment also offers a wide variety of therapies, physical activities, body and mind treatments and massages. The center provides the latest technologies. The contemporary neighborhood Bel Air spreads in the south part of this area. This gated resort, surrounded by the gardens, is only 500 meters from the beach of Costalita. Both apartments and luxury houses in Bel Air for sale are highly demanded because of the tranquility and beauty they provide. This calm neighborhood provides the residents of Los Flamingos Golf area with additional facilities. The Bel Air Tennis and Padel Club or Buddha Gym Sports Center are just some of them. When looking for night attractions and bars, the famous nightlife in Puerto Banus is reachable within five minutes’ drive. For all residents of Los Flamingos estates, the Andalusian surroundings boast spectacular sunsets, which you can enjoy on the beach or in one of the greatest Los Flamingos restaurants. Or, you can just spend the whole day in one of the beach clubs. The beautiful wide sandy beach of Playa El Saladillo is just a stone’s throw away from here. On the other side of the neighborhood, you will find the picturesque Andalusian village called Cancelada. This town offers a great variety of restaurants, bars and wineries. Both Los Flamingos apartments and houses, including Bel Air, are very popular. Not only among second-home buyers but also long-term property investors. The whole area was built and designed to the highest standards. It was tailor-made to enjoy the stunning golf, sea, natural lake and mountain views with plenty of space for the properties.